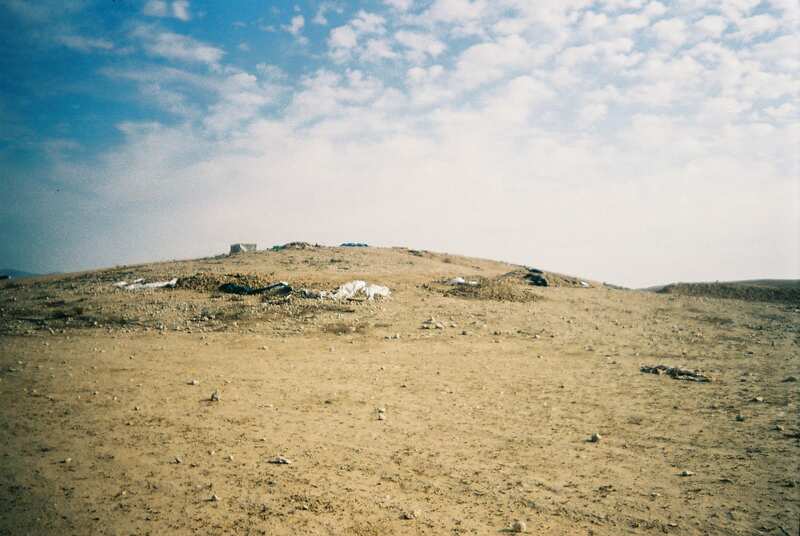 Al-ʿArāgīb is an unrecognized village west of Route 40, between Lehavim and Goral Junctions. 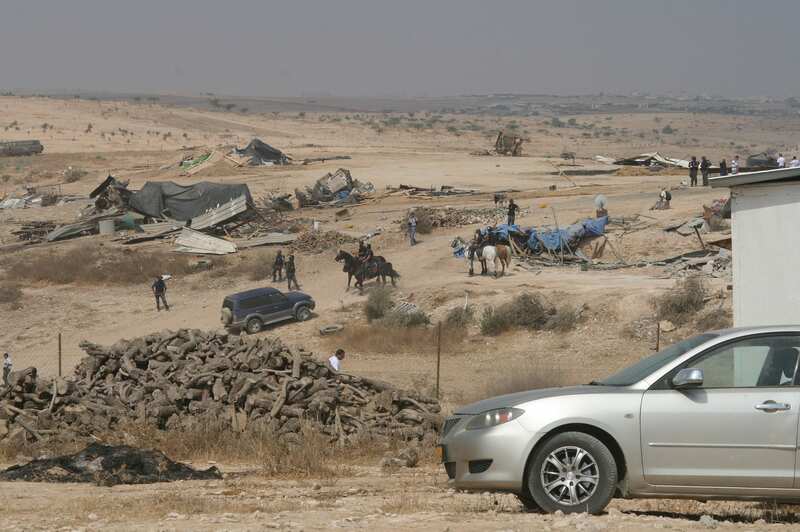 Until the state began repeated demolitions in the village in 2010, around 400 people lived there. Today, only a few dozen residents remain, in the vicinity of the village cemetery, continuing to wage a struggle against its destruction. Within the area of the village there are ancient cisterns, a cemetery founded in 1914, old huts and several dams. The village of al-ʿArāgīb was established during the Ottoman period, on land that the village’s inhabitants purchased at the time. In 1953, the military regime ordered the villagers to evacuate temporarily for six months, claiming that the state required the land for army training sessions. 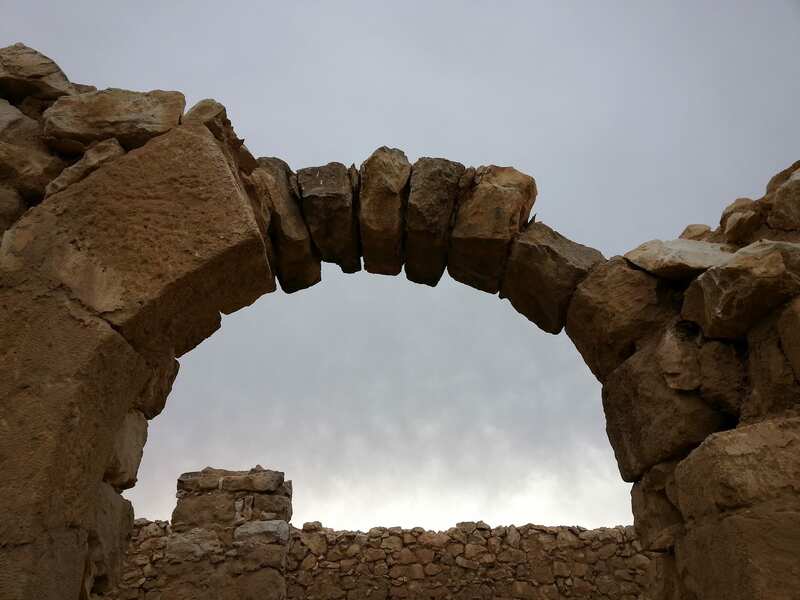 After six months, in which the inhabitants lived near their lands and in other parts of the Negev, the authorities sought to delay their return for another few months, eventually informing the inhabitants that they were forbidden to return to the village. Over the course of the years the people of al-ʿArāgīb never left their lands and their village, they kept on cultivating their fields, grazing their herds in the village’s area and burying their dead in the family’s cemetery. During the 1970s the village’s residents submitted multiple claims of land ownership to the settlement officer. 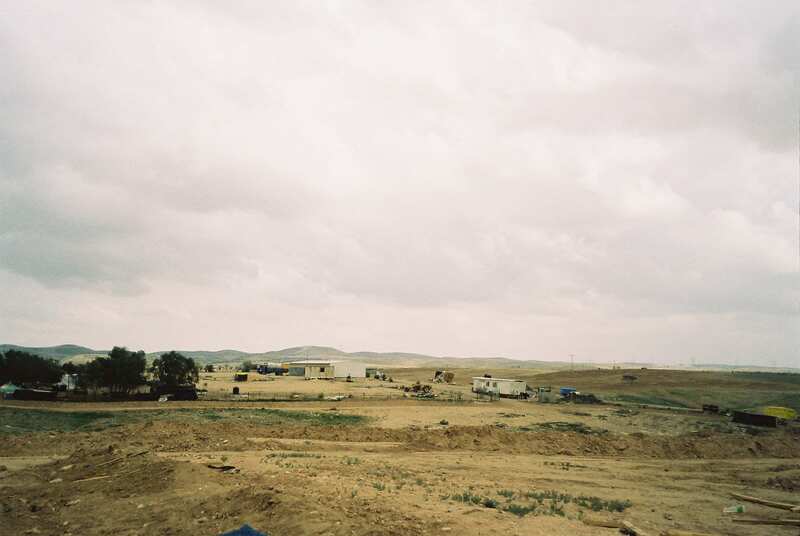 In 1997, Jewish National Fund (JNF) workers began to work in the lands of al-ʿArāgīb. 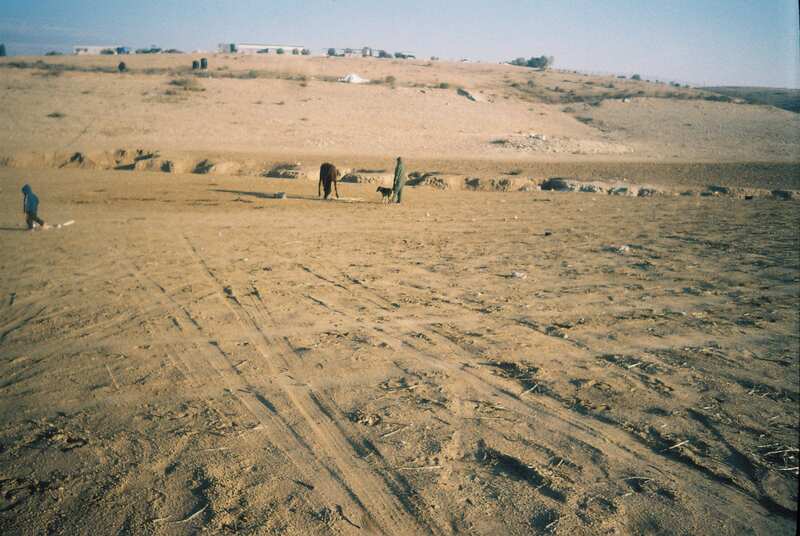 The residents complained about the work in land for which they had sued for ownership, and the JNF left. Beginning in the year 2000, the villagers began to cultivate the lands and sow the fields. In response, the state began to spray the fields and plough them over, in order to destroy the crops. 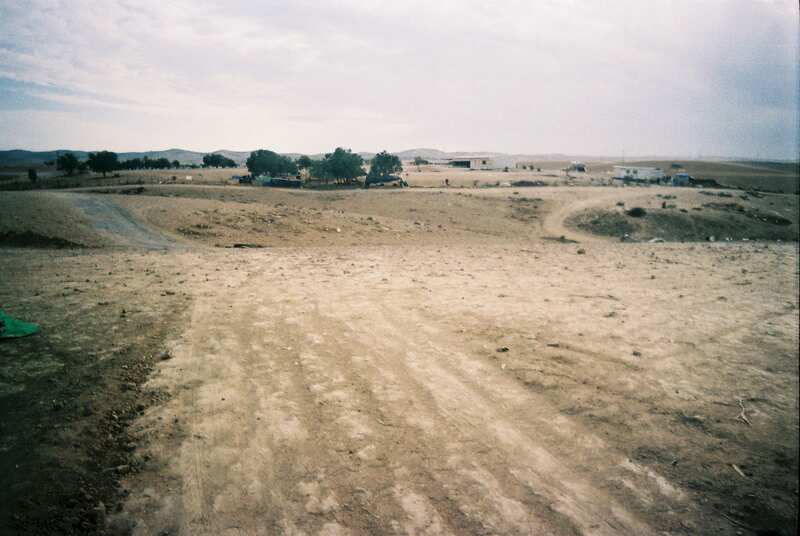 In the beginning of the 2000s, members of the Abu-Madigem family – one of the families that had lived in the village until 1953 – returned to live on their lands in al-ʿArāgīb. Al-ʿArāgīb does not receive health and education services. 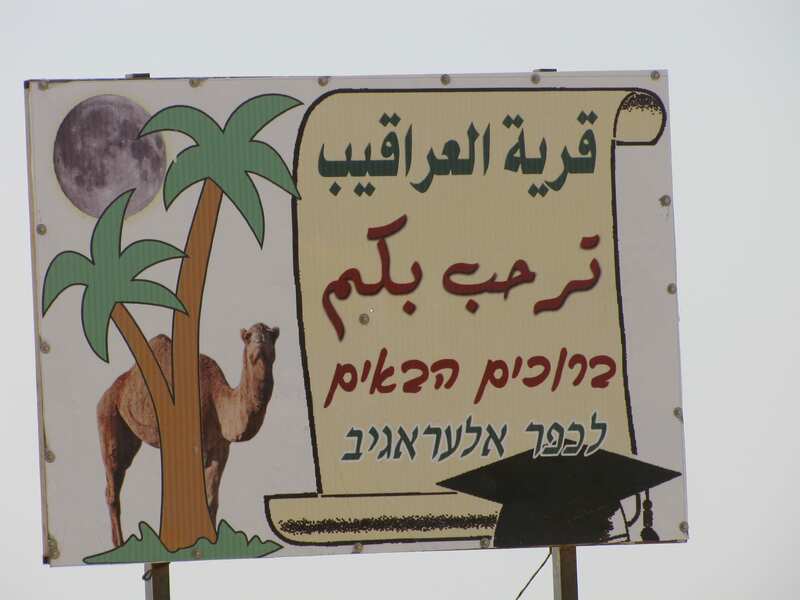 In order to receive them, the residents must travel to the city of Rahaṭ, six kilometers away, a half-hour trip that can often take up to an hour because of traffic at Lehavim Junction. The village is not connected to the national electricity grid, and the residents use generators and solar panels to supply their own electricity. Since the village is also not connected to the water supply, the inhabitants are forced to transport water in containers – an expensive process which also negatively impacts the water quality – a distance of eighteen kilometers. 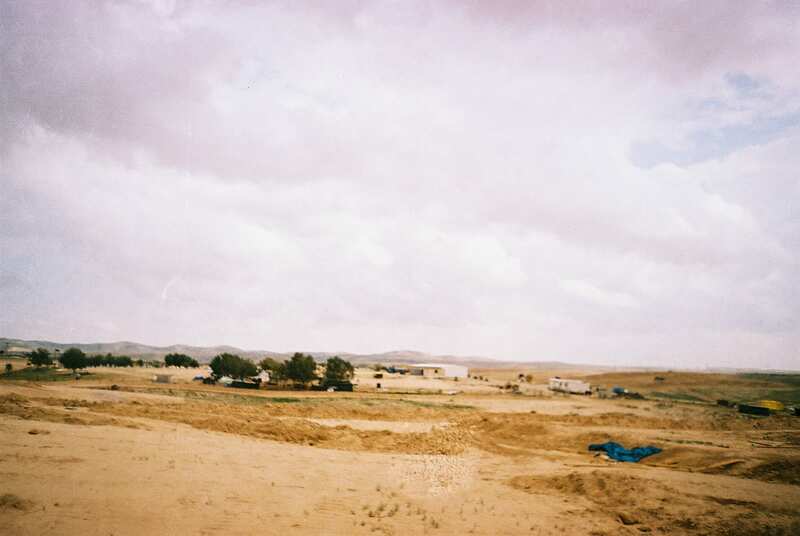 Al-ʿArāgīb is an unrecognized village. On July 27, 2010, the entire village was demolished by the state, and since then the security forces have returned several dozen time to demolish it again. At the same time several legal disputes relating to the village have been going on, – firstly, about the lands of the village, of which the residents claim ownership; and secondly, regarding a suit the state has filed against the residents about the cost of the demolitions. There are also several cases open against residents of the village who have been placed with sundry charges during the struggle. 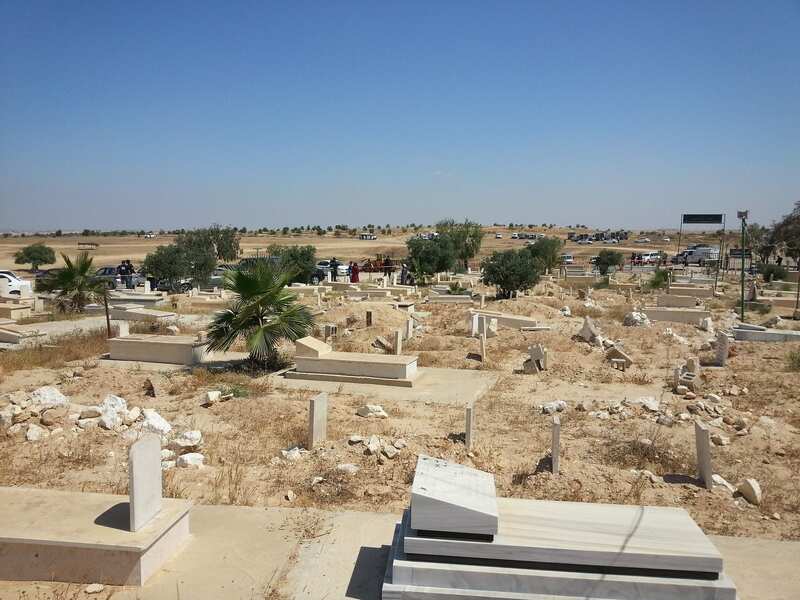 On June 12, 2014, all structures within the village’s cemetery compound, in which the residents had been living for the past few years, were also demolished. 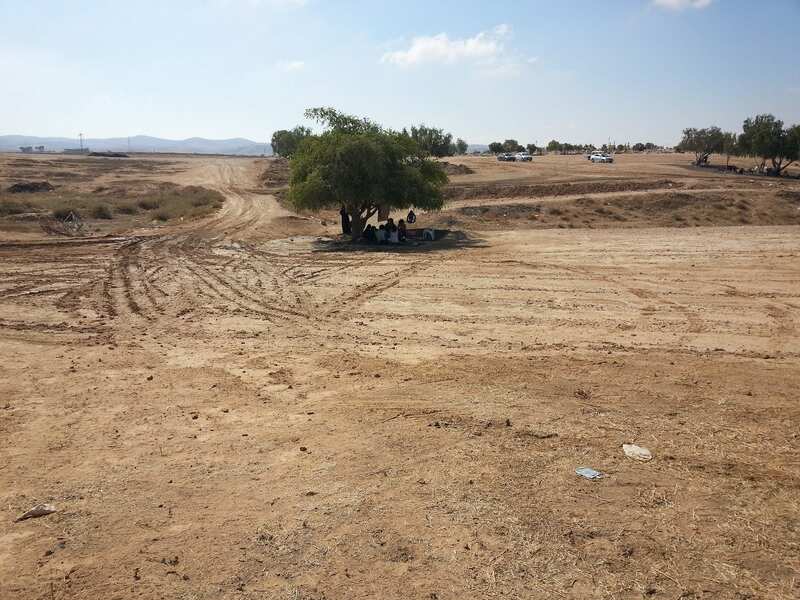 The residents continue to wage a struggle for their village, which in addition to the legal aspect includes a civil struggle that includes a weekly protest vigil at the nearby Lehavim Junction, rallies, demonstrations and more. The residents want the state to recognize their village in the location it is in today, and to allow them to live in an agricultural settlement on their own lands. After the repeated demolition of the village by the authorities did not cause the villagers to leave and the struggle for their ancestral land continued, the authorities began to indict the residents on various sections of the law, such as entering public land, trespassing, violation of legal orders, illegal construction, disturbance of a policeman on duty, and even payment for the first eight demolitions. Dozens of cases were opened against the leader of the struggle, Sheikh Sayah and his family. On Tuesday, November 21, 2008, a Supreme Court judge decided not to allow permission to appeal to Sheikh Sayah on unprecedented charges such as entering public land trespassing. These are lands that his family submitted ownership claims for during the 1970s and on which he lived most of his life. On these lands there is a legal debate in court that has yet to be resolved. Although the lands are in dispute, the court ruled that Sheikh Sayah will be sent to prison on 25 December 2018 for a period of ten months, a five-month suspended sentence, and a fine of NIS 36,000. The villagers continue to hold a weekly protest vigil on Sundays, In January 2019, Amnesty International declared Sheikh Sayah a prisoner of conscience.